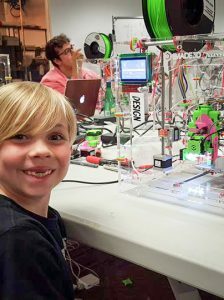 IMADE3D | JellyBOX 3D printer in your home - for kids and parents! 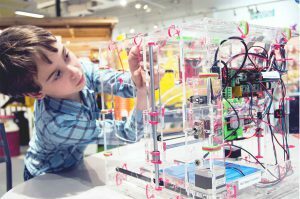 Why is JellyBOX the Best Home 3D Printer for Kids and their Parents? You don’t want your kids to get an expensive toy. You want your kids to get a good quality, serious tool that will expand their horizons and show them new possibilities. Professional craftsmen know this: always get the best tools you can. Not only it will make your life easier; good tools are inspiring in their own right! We designed JellyBOX from scratch to be a learning device. A 3D printer that inspires learning and passion. 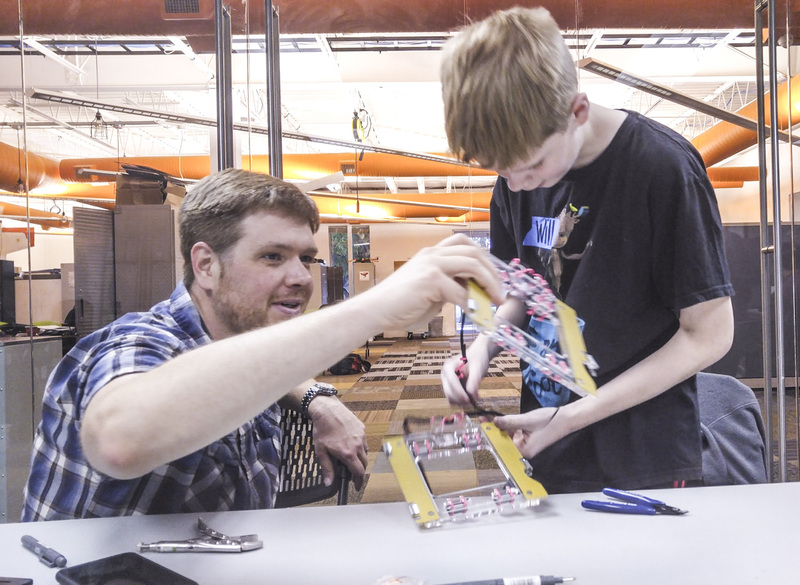 A gateway into the world of 3D printing, applied math, simple robotics, design, creative processes, and the priceless D-I-Y change-the-world mentality. Even though we made JellyBOX as simple as possible, we did not make it too simple. We did not dumb it down. JellyBOX is simple, but it’s also a serious tool of production that will continue to grow with the skill of its user. If you build something with your own hands, you have no other option but to understand. The most ultimate, interactive, and effective education approach of this day is called hands-on education for a reason! This is the basis of IMADE3D philosophy. We started designing and building 3D printers as an educational project. For us, the learning experience is paramount! If you want to truly understand the technology, and master it, it’s essential that you build your own 3D printer. It’s simply the most effective and gratifying way to get into it. CONTACT US WITH ANY QUESTIONS. WE’D LOVE TO TALK TO YOU! You shall not get locked into some proprietary ecosystem. JellyBOX is open-hardware, really go to town and make the machine do whatever you can imagine. This part goes a little bit into learning and educational theories, so if the science of learning bores you, skip this part. One of the founding learning theories of the modern era, constructivism, stem from Jean Piaget’s insight that the process of learning is active. Learners do not simply assimilate information like some sort of blank slate computer. Learners actively construct their own knowledge as the incoming information clashes with existing beliefs and experiences. This means that engaging deeply the students must be paramount. The old Chinese had it right: “Tell me, and I’ll forget. Show me, and I may remember. But involve me, and I’ll understand,” as paraphrased by Dr. Herb True in 1978. 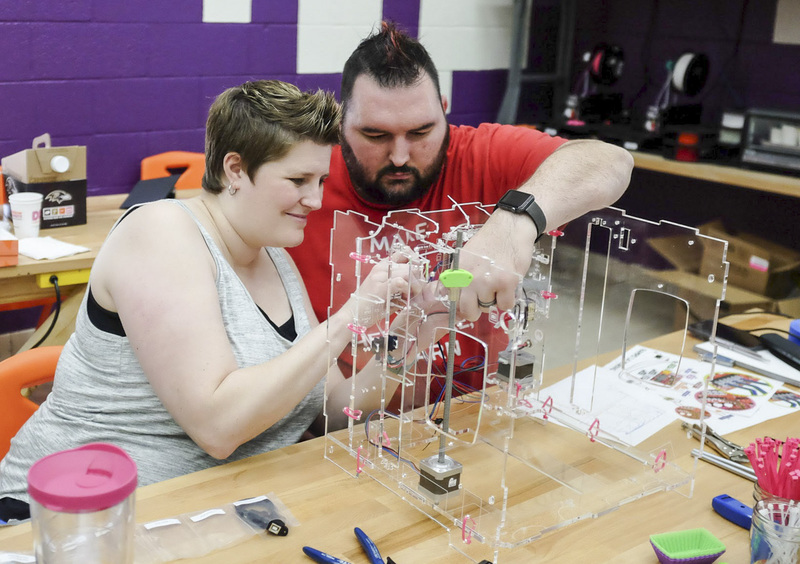 In 1980’s, building upon Piaget’s constructionism, Seymour Papert at MIT has spearheaded the Constructivist theory that posits that most effective learning happens when students work with tangible objects, ideally ones thy construct themselves. Constructivism has been described as “learning-by-doing”, and while that’s fitting, it’s an over-simplification. The point constructivism tries to make is that learning needs to be made visible and tangible. You can also think of it in terms of modalities. You get a different kind of understanding if you build a 3D printer than if you simply start using one. Sounds self-evident, doesn’t it? By extension, objects and environments can be educational or inhabiting by themselves. Sleek “black-box” devices that are become the ultimate enemy from the learning standpoint. Black boxes are great for consuming, but not for creating. They may work flawlessly and be easy to use, but they are not conducive to learning or exploration. JelyBOX is designed as a “white-box” instead. “White-box” devices do not hide anything. They do not try to appear magical and perfect, they proudly showcase their inner workings and reward exploration – which is great for learning. START YOUR 3D PRINTING JOURNEY TODAY! 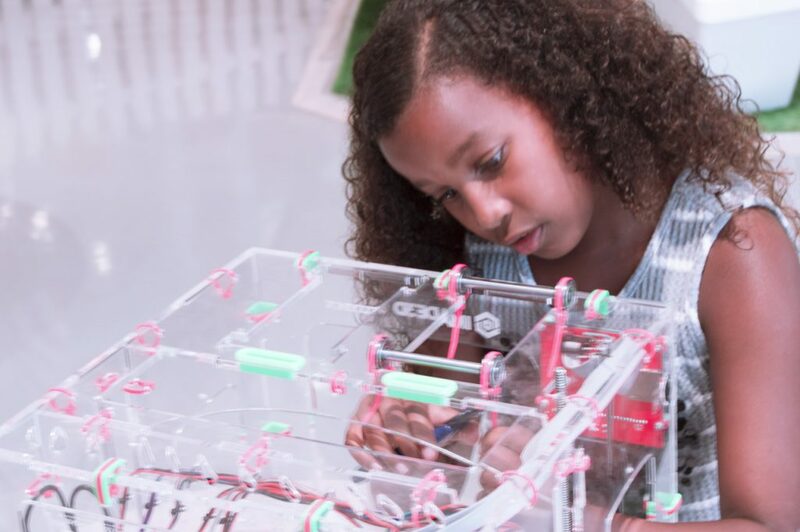 Is JellyBOX too Difficult for Kids to Build? Nope. We have had a 7-year-old build one JellyBOX with his father during our single day Quick Build. You can do this, too! We’re not gonna lie, you will have to put in some effort, time and elbow grease, but it’s doable. 3D printing takes time (3D modeling, model processing, the printing itself…). If you are not willing to give it any time, honestly, this is not for you. Do you HAVE to Be a Kid to Appreciate JellyBOX? Of course you don’t have to be a kid. Why would only kids need easy to use 3D printers that are a joy to build and a heck of a learning experience? In fact, most of our customers are either adults or parents with kids. Don’t YOU want to learn by doing as well? Well, then get to it. Similarly, you don’t HAVE to be a beginner. Even if you are an experienced maker, JellyBOX makes perfect sense. It’s a serious tool of production with a that is easy to maintain, future-proof, and simply works.